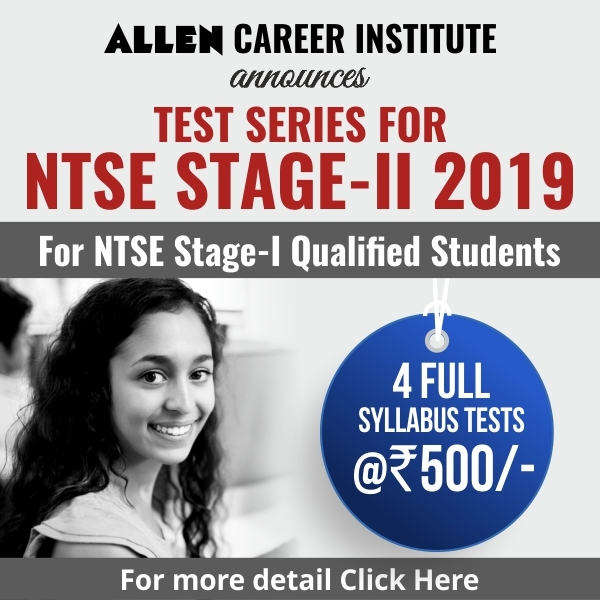 In NTSE Stage II, only CBSE Board syllabus i.e. chapters of Class IX and X of NCERT book will be there. Another important thing about NTSE Stage II is that difficulty level of the questions will be much higher in comparison to NTSE Stage I paper. So be very careful while answering your questions, it’s advised to go through the previous years’ papers. 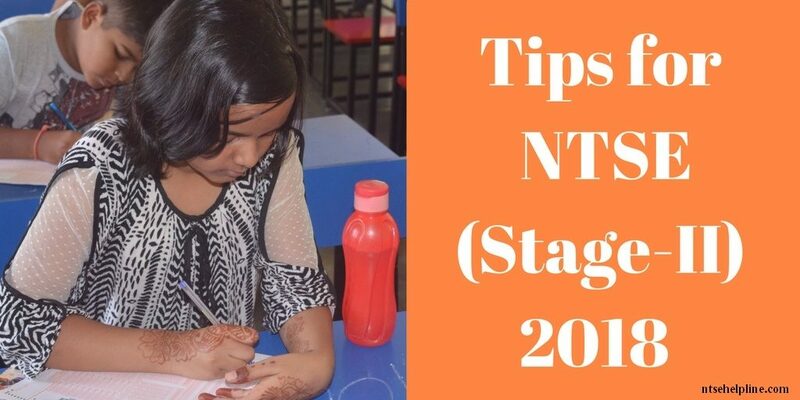 Effectively there are 2 Months Left for Preparation of NTSE stage 2. 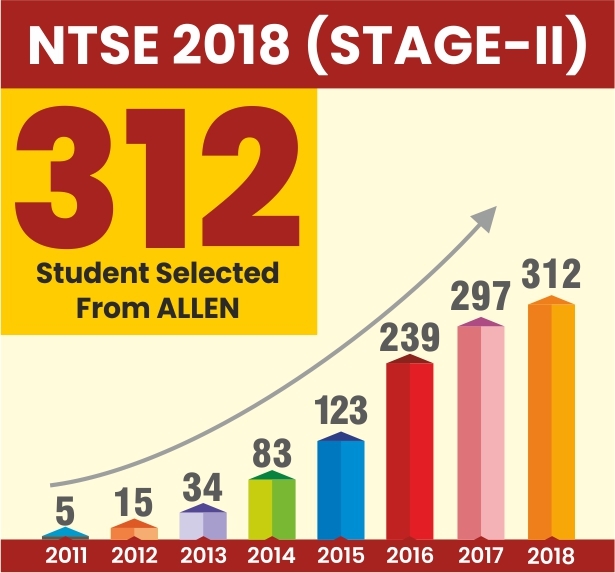 As the student appearing for stage 2 would be in class 11th, he/she will be busy with current studies of class 11th (IIT/Medical/others), so they will have to focus on their current studies as well as NTSE Stage 2 exam. Sincerely giving 2-3 hours per day for NTSE Stage 2 will be more than sufficient for a student. A student should focus more during last 7-10 days before NTSE Stage 2 exam. Maths: Topics of NCERT of Class 9th and 10th. The level of problems asked in the exam is quite tough and lengthy so students should practice questions of various competition exams like IMO, IOM, NMTC, NSTSE, CAT/MBA Maths, class 11th relevant topics problems. 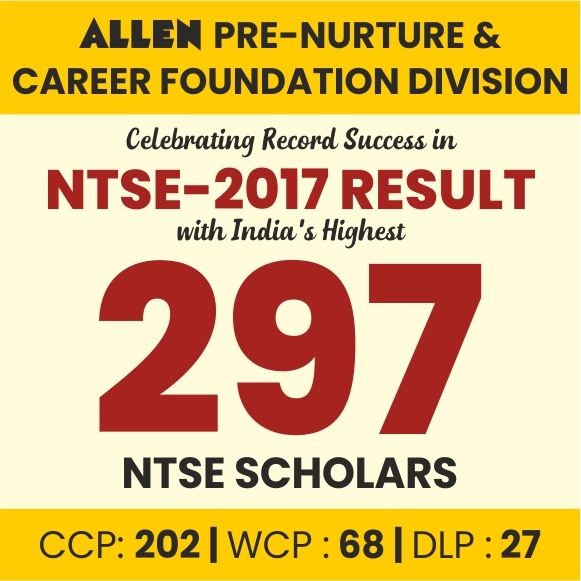 Mental Ability (MAT): As per latest pattern of NTSE stage 2, it is the most important subject (100 marks). All the topics are prepared during NTSE Stage 1. The level of questions are quite difficult so students need to practice more problems of various competitive exams like CAT/MBA entrance exam, NSO, IMO, NTSE different states Stage 1 past papers. Social Studies: Social Science (40 marks) is the second most important subject after MAT (100 marks), which will decide the outcomes in NTSE Stage II. The problematic thing related to Social Science is most of the students who have cleared NTSE Stage I opt for science/maths subjects in class XI and are not much interested in studying Social Science for NTSE Stage II. This is the area where we have to be very cautious. Those students who will score maximum in these two subjects can become sure about their selection in NTSE Stage II “Keeping in mind the number of questions asked from Social Science section. Priority must be given to History, Geography and Economics (just for 5 questions of Civics, emphasizing on 14 chapters doesn’t make much sense). Syllabus of class IX, as well as class X, should be given equal importance. The practice of map questions from Geography section is a must. Past NTSE papers should be referred for every subject preparation. Yuvraj Jangid is that the keen on writing concerning latest updates on education, specially for NTSE, Olympiads, Engineering & Pre-Medical Entrance Exams etc. Love to share ideas with others through blogs, articles & social media.